Brown fat cells can burn fat to generate heat. University of Bonn researchers have discovered a new method to measure the activity of brown fat cells in humans and mice. The researchers showed that microRNA-92a can be used as an indirect measure for the activity of energy consuming brown fat cells. They showed that a small blood sample was sufficient. Results were published in Nature Communications. People who want to lose weight often encounter boundaries: No matter what diet they try, the pounds won’t drop. Being overweight and obese can have severe health consequences, and has shown to increase a person’s chance of developing type-2-diabetes or cardiovascular diseases. Prof. Dr. Alexander Pfeifer, head of the Institute of Pharmacology and Toxicology of the University Bonn, has been investigating brown fat in mice for years. He has been trying to understand how to turn unfavored white fat cells into energy-consuming brown ones. Brown fat cells can “burn” excessive energy by producing heat instead of storing fat. Prof. Pfeifer´s team has discovered multiple signaling cascades and possible drug targets in rodents that are responsible for the conversion from white-energy-storing to brown-energy-consuming fat cells. However, for these basic research findings to become human treatment, clinical trials are needed to discover which drug is most efficient in activating brown fat and has few or no side effects. These clinical trials are hampered because so far no method is on the market to measure the brown fat activity without health risk and expensive equipment. Many miRNAs were investigated during the investigation. miR-92a is present in human and mice — importantly — this microRNA is related to brown fat activity. Whenever miR-92a is low in circulation, people can burn a lot of energy with brown fat. To prove the connection in humans, scientists tested 41 participants from Finland and the Netherlands. 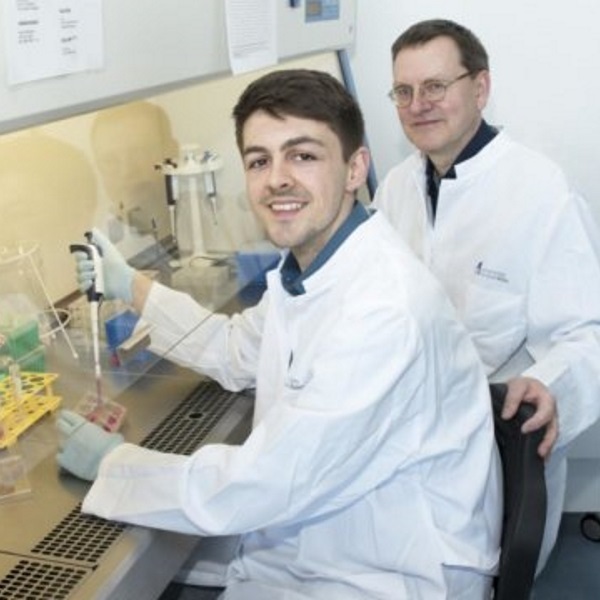 “We found a significant relation between brown fat activity and miR-92a that needs to be proven in larger cohorts,” said co-first author Joschka Johannes Buyel, a PhD student in Prof. Pfeifer´s lab. Measuring miR-92a would allow for a much more accurate measure of the brown fat activity. “miR-92a seems to be a promising biomarker to test new drugs in the field of weight reduction or transition from white-to-brown fat in humans; this promising biomarker should be tested in larger cohorts” said Prof. Pfeifer. This new method might enable advances in obesity research and related fields. The above post is reprinted from materials provided by University of Bonn. Note: Materials may be edited for content and length.